The BNP has decided to open legal battles over the alleged rampant irregularities reported during the 11th National Election held on Dec 30 last year. 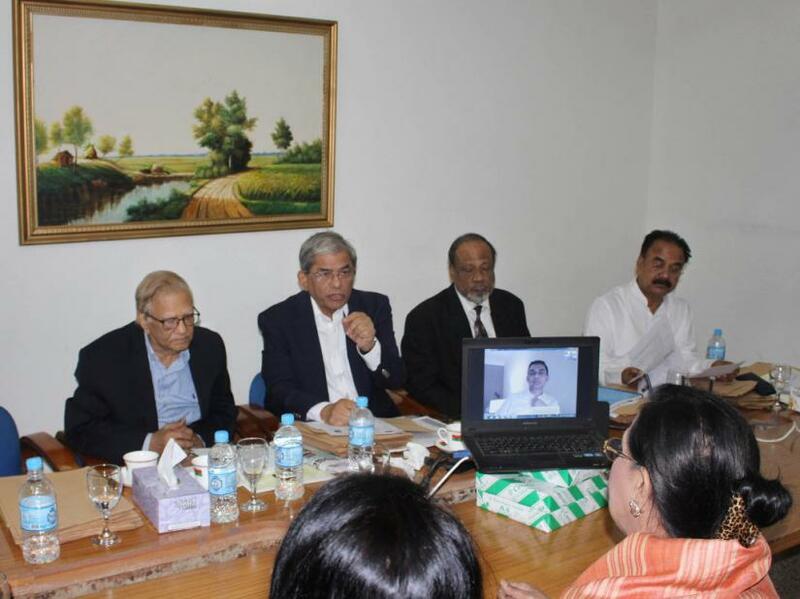 The decision came on Saturday (Feb 9) during a meeting in Dhaka, which was joined by acting Chairperson Tarique Rahman from the UK through Skype video conferencing. Apart from senior party leaders, representatives from 40 district units attended the meeting. At least four BNP leaders, who joined the meeting, told Bangla Tribune that it has been decided that separate lawsuits from 64 districts will be filed with the High Court’s election tribunal — a bench designated to address matters concerning the election. “The meeting with Tarique Rahman was a follow-up of the election. He is supposed to speak with leaders from all the districts. Several aspects of the elections were discussed during Saturday’s meeting,” BNP’s Kishoreganj district President Shariful Alam said. Gano Forum chief Kamal Hossain-led coalition Jatiya Oikya Front, with the BNP as its largest member, had decided to take legal actions soon after the election, but it hit a snag as several members of the BNP’s highest policymaking forum then discouraged the move. On Thursday (Feb 7), Tarique instructed the BNP’s top brass in Dhaka to initiate legal measures and Saturday’s meeting with representatives from 40 district units was a part of that process, according to party insiders. “It has been agreed that lawsuits will be filed with the election tribunal which will be done by Feb 15,” Habibur Rahman Habib, who sits of the BNP chief’s advisory body, told Bangla Tribune. BNP Senior Vice Chairman Tarique has been staying with his family in London since 2008 when he left Bangladesh after his release from jail on parole during the military-installed caretaker administration. He has been sentenced up to life in jail for money laundering, corruption and the Aug 21, 2004 grenade attack on an Awami League targeting the party’s chief Sheikh Hasina, then the leader of the opposition and now the prime minister seeking an unprecedented fourth term. The 50-year old was appointed acting chief of the BNP after his mother and party chief Khaleda Zia was jailed in February for corruption. The High Court has earlier banned publication of his statement in any form since he is a fugitive from the law.